By allowing certain specimens to be loaded every 20 minutes, the Tissue-Tek® Xpress® saves considerable time, so your analysis is in your hands much faster. We’re pleased to offer the most comprehensive pathology expertise in Kansas outside of the Kansas City area. Please take a moment to review our services, and we look forward to hearing from you soon. All of our pathologists are board-certified in anatomic and clinical pathology (AP/CP). 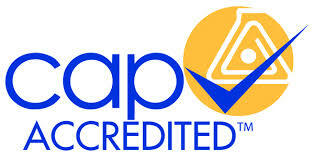 Almost half our pathologists are also subspecialty board-certified in either cytopathology or hematopathology. Our physicians that are dedicated to dermatopathology, gastrointestinal & liver pathology, and gynecologic pathology have completed additional training to maintain the level of knowledge and expertise you demand. In addition, we have pathologists with special interest in breast pathology and urologic pathology. 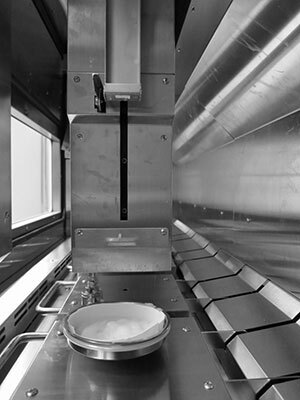 Cycle times are reduced over 90% with the Tissue-Tek® Xpress® x120, which processes 120 tissue blocks per hour. And unlike conventional overnight processors, the Xpress® x120 enables certain specimens to be loaded every 20 minutes, further improving turnaround time so you get the analysis you need, when you need it. When a frozen section is called for, we’re here 24/7 to provide the intraoperative consultation that has to be, literally, at your fingertips during the surgical procedure. For cases that may require testing beyond our capabilities, we have access to national reference laboratories. In particular, we have a strong working relationship with the Mayo Clinic laboratory and pathology department. Just contact us with the time you’d like us to pick up, and our preferred courier will be on their way to transport your specimen(s) swiftly and safely. On every report, you’ll find the direct phone number of the pathologist who provided the professional interpretation on your specimen, ready to assist you with any questions or comments you may have (including physician feedback). Should you wish us to provide an independent diagnosis on a referral from another pathologist, we’d be glad to oblige. Just call 316-268-5539 from Monday thru Friday between 8 a.m. and 5 p.m., we’ll take your order and deliver your supplies via our courier. We have partnered with APS Medical Billing to assist you. If you have any billing questions, please call APS Customer Service at 800-274-2158.